Danny Green is a San Diego-based pianist whose love of Latin sounds has been an important part of his development. Some may be aware of the Past Due album by the Caballero-Verde Quintet, with Green of course being the “Verde” of the equasion. Now he’s about to get more caliente (yes, I’ll stop) with the release of his first album under his own name, With You In Mind (Alante Recordings). The album shows that he will no doubt become one of the more important musicians and names in jazz, perhaps becoming this generation’s equivalent of Herbie Hancock, McCoy Tyner, and Dave Brubeckfor this guy not only plays with elegance, but knows how to edge the listener on with his spacing, allowing the arrangements to lure people in to hear not only him, but the musicians (including Dylan Savage on drums, Allan Phillips on percussion, Justin Grinnell on bass, and Tripp Sprague on sax) to get into the precision Green is establishing with each song. There are elements of “Para Chano” that sound like Ram-era Paul McCartney, and just when the song feels like it will end comfortably, Green plays a repetitive chord structure and lets Savage and percussion enhance the flavors of the stew brewing with the kind of drive that will make people dance and perhaps get extra randy. “Doctor Pasta”, “Panic Nap”, and “Lullaby For A Poet” manages to take things as far as they can without ever going overboard, it’s very polished and sustained and Green knows how to create his own style. That might sound silly, but I say this to suggest that sometimes a lot of musicians simply play and emulate. 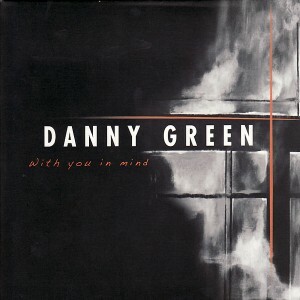 Green and the other musicians are obviously influenced by other great musicians but they’re trying to make an effort to make it feel like them, so that you’ll know this is the music of Danny Green. It is, and I hope he and the other musicians will continue to record and perform for years to come, as this is a continuation of the greatness that is jazz.